Last Remaining In Current Phase. Select Plots To Be Released. 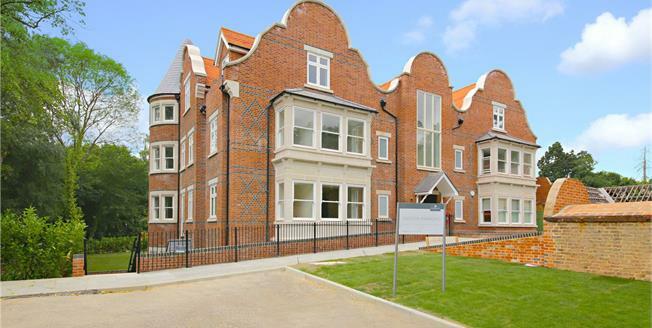 Accessed via the tree-lined Brookshill and set in beautifully landscaped grounds, Hillside Manor, by the award winning Heronslea Group, comprises seven spacious new build apartments with a contemporary interior, and two renovated listed houses complete with restored original features. Each home has been created with the space to relax, work or entertain with a choice of landscaped gardens, private balconies and beautiful communal grounds. The exterior of your new home will reflect the quality that you will discover within and benefitting from the stunning views of Green Belt surroundings. Induction hob, Integrated fridge/freezer, Integrated dishwasher, Extractor hood, Porcelain floor tiles. - Ensuite Bathroom to Master Bedroom. - Fitted wardrobes to select Bedrooms. - Flooring throughout - Wood flooring to Lounge and Hallway, Carpets to all Bedrooms, Tiles to Kitchen and Bathrooms. - Private Balconies to select plots. - Gas fired, underfloor heating throughout. - Lift to all floors. - LED downlights to all rooms, CAT5 and coax cabling, Data network cabling installed, Full TV / SKY Plus multi-room wiring system. - 10 Year Premier Warranty. Show Apartment open Thurs-Mon from 10am-pm. Tel - 07595 451 653 . For further information, please contact Preston Bennett New Homes on 0208 954 8626. Hillside Manor is well served when it comes to travel links, due to its location close to both the M1 and the M25. Harrow and Wealdstone station is just 10 minutes by car and offers Tube and overground services, while London Paddington and London Euston can both be reached in around 30 minutes. For international travel, Heathrow Airport is 35 minutes away by car.